A stacked collector's edition of the PC version of Alan Wake is coming next month. 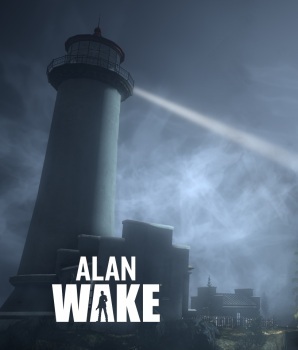 Yes, it's once again time for me to remind you all that Alan Wake began life as a PC game before going multiplatform and then, tragically, being turned into an Xbox 360 exclusive. And maybe the guys at Remedy feel a bit guilty about dangling it in front of us and then yoinking it away, because Nordic Games revealed today that the long-awaited PC version is getting the full-on treatment, with two separate and very impressive boxed releases. First up is the "[Better Than] Standard Edition," which includes the original game and The Signal and The Writer DLC releases, a second disc containing the 13-track soundtrack, a printed manual, six postcards, a double-sided poster and seven stickers featuring different scenes, images and characters from the game. That's a pretty solid package - and that's the regular release. The Collector's Edition, which sadly lacks a snappy name, includes all of the above plus in-game audio commentary and background information provided by Remedy, a third disc with videos including a history of Remedy, the making of Alan Wake, game trailers, music videos and storyboards, and the 144 page Alan Wake Files, written by none other than Clay Steward himself, all in presumably-fancy "premium packaging." The only downside to the boxed editions, aside from the shelf space it'll eat up, is that you'll have to wait a little longer to get them. The PC version of Alan Wake comes out on Steam on February 16 but the retail releases won't hit store shelves until March 2.